It's that time of year once again, when pantomime takes to the stage all over the UK. A tradition dating back to the sixteenth century in Western European theatre, pantomime is a riot of colour and comedy based on traditional fables and fairy tales with a bit of a twist. Containing old fashioned themes of good versus evil and rib-tickling observations of topical events merged with principle boys played by girls and vice-versa, the pantomime brings dazzling costumes, slap-stick humour and chart topping songs from the past twelve months or so to the fore. Comedy abounds as cast members encourage audiences to join in 'booing' the baddies and cheering the goodies as they fully immerse themselves in this seasonal form of farcical entertainment. From Ugly Sisters and Wicked Step-Mothers, Prince Charming to Pantomime Dames, panto introduces live theatre to young audiences and is a tried and tested formula suitable for all the family. Oh! Yes it is. Here are a few playing in the biggest theatres in the North East for 2013/14. The merry men of Sherwood emerge from their homes in the forest to delight the audience with the legendary tale of Robin Hood. All the usual suspects are there including Little John, Will Scarlet, Friar Tuck and the evil Sheriff of Nottingham. Will Robin escape the clutches of the evil Sheriff? 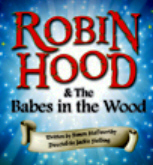 Will the baddy get his comeuppance and will Robin win his fair lady, the Maid Marian? 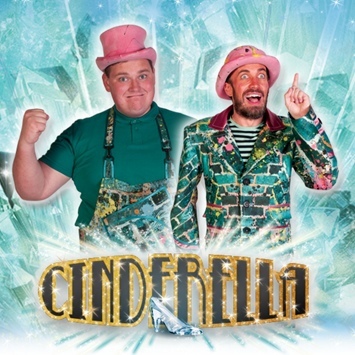 This pantomime is on at the Gala Theatre from 28 November – 4 January 2014. Tickets From £6.50. Venue: The Gala Theatre is in Millennium Place, Durham City Centre. Click for map. Written by Susan Mulholland, this show is especially suitable for children aged six and under. You are invited to an adventure deep in a magical forest, where stories dangle from the trees and are giggled by the grass and whispered by the leaves. Stories about what happens when you're nice (and naughty) and why you should never, ever trust a witch. On from 16 November – 4 January 2014. Tickets are £12.50 adult, £9.50 child, and £1 under twelve months. Venue: Northern Stage is on Barras Bridge Newcastle and is a few minutes walk from Haymarket Metro station. Click for map. 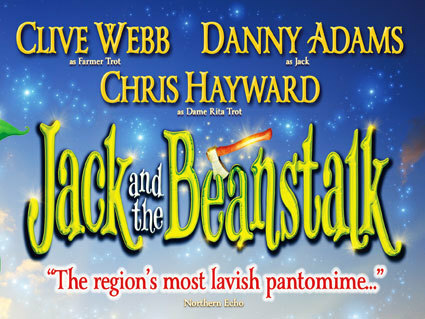 Jack and the Beanstalk with panto stalwarts Clive Webb, Danny Adams and Chris Hayward. Based on the classic fairy story of the poor boy and his mother, Jack takes their cow to market and sells it for some magic beans. His despairing mother throws them out of the window and they grow into a tall, tall beanstalk reaching up into the clouds. The beanstalk leads Jack to meet the Giant, who has caused his family hardship. Can Jack escape the wrath of the Giant, retrieve the family fortune and discover his destiny? You can see Jack and his friends from 26 November - 18 January 2014. The Theatre Royal Newcastle is on Grey Street a few minutes walk from Monument Metro. Click for map. Starring comedienne and Newcastle Radio presenter Sue Sweeney as The Queen and keeping the comedy coming is Charlie Richmond as Numpty Norman. 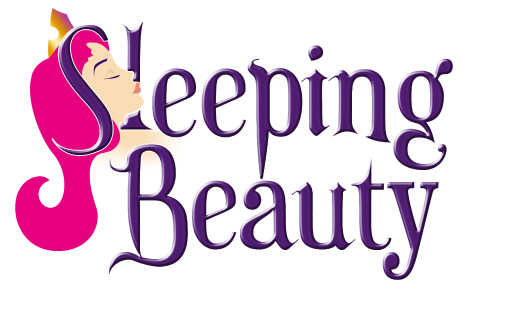 From the pen of Charles Perrault comes the tale of the Sleeping Beauty, a beautiful princess placed under a spell by an uninvited guest at her christening who is doomed to prick her finger on a spindle at the age of 16 and die. Luckily her fairy godmother amends the spell and instead she sleeps for a hundred years to be awoken by a true love kiss from her Prince Charming. On from 6 December – 30 Dec 2013. Tickets from £13. Tyne Theatre is on Westgate Road, Newcastle, close to Central Station. Another Charles Perrault classic. Kindly widower Baron Hardup takes a new wife as a mother for his lovely daughter, only to find that she suffers a life of drudgery at the hands of her wicked step-mother and her two daughters, the Ugly Sisters, whose aim is to meet the handsome prince and prevent Cinders from seeing him first at the ball they've all been invited to attend. From 28 November – 5 January 2014. Tickets from £8. The Customs House overlooks the River Tyne at Mill Dam South Shields and is about 10mins walk from the Metro Station. Click for map. 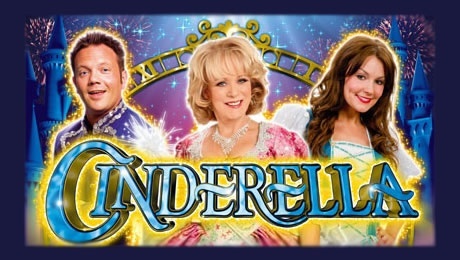 Cinderella starring actress and Loose Women presenter Sherry Hewson. Continuing the storyline from the previous panto - Cinders is barred from going to the ball by her adversaries. To her surprise Cinderella discovers she has a fairy godmother. Cinders would love to go to the ball but she has no ball gown and can't afford a carriage. Can the Fairy Godmother work her magic? Will she meet her Prince Charming? And why are her ugly sisters jealous of her petite little feet? Running from 13 December 2013 to 6 January 2014, visit the Sunderland Empire at High Street West, in the heart of Sunderland close to bus, Metro and network railway stations. Peter Pan starring Neighbours' Mark Little as Captain Hook and CBeebies' Sarah-Jane Honeywell as Peter Pan. From the classic children's tale about growing up by J.M.Barrie. One evening in London, while in the nursery with her two younger brothers, Wendy Darling encounters Peter Pan, a boy who can fly, on a visit to the real world from his magical home in Neverland. Wendy finds herself flying to Neverland with the other Darling children where she meets Peter's gang, The Lost Boys. They embarks on an adventure to rescue the princess Tiger Lily from pirates lead by Captain Hook and his gormless side-kick Smee, (played by local favourite Steve Walls) who have captured the princess from her Native American tribe. But Peter, the boy who never grows up, fights the evil Hook and wins the day with the help of Tinker Bell, the mischievous fairy. Caught up in eternal childhood, Peter doesn't understand why the Darling children miss their home and Tinker Bell becomes very jealous of Peter's new love interest, Wendy. 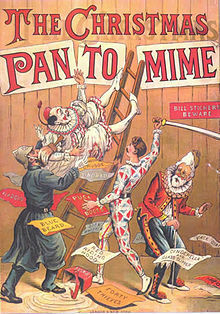 Apart from when I took my children to see pantomimes many years ago, my husband and I have been to a few much more recently (as our son worked in a theatre) when the ad-libs and ribaldry of the last night becomes much more adult focused and the after show party goes on 'til the wee small hours. Panto works at all levels. So for a festive season of fun and frivolity - which one will you choose?